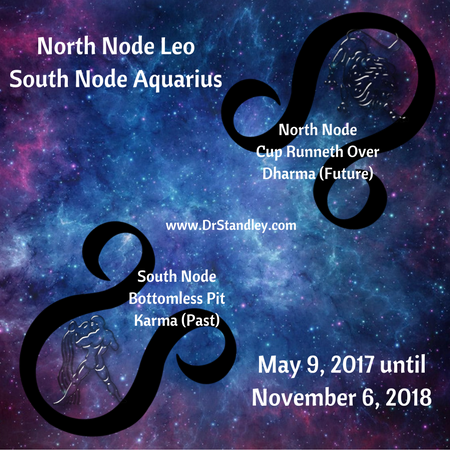 On Tuesday, May 9, 2017 the North and South Node made their move into Leo and Aquarius until November 6, 2018. The North Node in Leo is going to bring us back to our childhood heart's desire, where we were youthful, playful and full of sunshine. When we were younger we had willpower, physical strength, confidence and enthusiasm, but more along the lines of an innocent child. Many of us will find ourselves saying, "I feel like a teenager again!" At the same time when we were so youthful and vibrant, our happiness and innocence was getting holes poked in it because we wanted to be liked and accepted by everyone. We were 'sensitive' to being liked. We friended everyone, we trusted everyone and we succumbed to peer pressure as a result. The South Node Aquarius is what I call, "Swiss Cheese Energy" because it has holes poked in it like swiss cheese. This South Node Aquarius invites too many people without proper vetting, which makes us easily infiltrated where we can be taken advantage by those we trusted. The South Node Aquarius is incredibly leaky energy with too many holes. More on this in a bit. Remember, the Nodes ALWAYS move Retrograde and are ALWAYS in opposite signs so that means Leo and Aquarius are opposite signs. Before we roll out any further with this write-up, let's get a sharper look at what the word opposite really means. When something is opposite of another it is still the same, but of a different type. Whether it is gender, temperature, monetary, etc., there is something equal to it, yet opposite of it. For instance there is male and female, they are equally human and opposite in gender. There is hot and cold, they are equally about temperature and opposite in their degree of temperature. Whatever the subject matter is, there is an equal and opposite counterpart. And so it goes with the Sun Signs and so it goes with the Nodes. If you look at the symbol for the Nodes to your left, you will see that the North Node is a open at the bottom of the horseshoe and the South Node is open at the top of the horseshoe. They are equal, yet opposite. While Leo and Aquarius are both fixed signs, Leo is a fire sign and Aquarius is an air sign. There it is, opposites again. 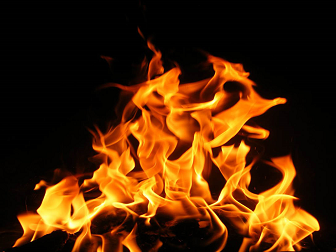 Fire needs air to burn and air needs fire to rise. Whether it is a human operating under these conditions or a hot air balloon operating under these conditions, air is the fuel, but so is the fire. A hot air balloon is not going to go up with a fire and the lack of air will only bring it down. The same goes with us humans, as we require a fire in our belly to make us rise and the lack of fire will only bring us down. Fire and air feed off of each other. When we take a set of bellows to a fire and get that air pumpin' (as in the wind) it can take the fire to another level of temperature or temperament. The air signs (Aquarius, Gemini and Libra) are stimulated emotionally by logic, rationale and intellect. The air signs express themselves through communication, talking, writing, thinking, the intellect and the quick flow of ideas. Their rationale will outweigh their feelings every single time. Since the air signs are logical in nature, they will think before they act. If the air signs are weighing their emotions to logic, they will choose logic every single time. The fire signs (Leo, Sagittarius and Aries) are stimulated emotionally by circumstances and situations. The fire signs express themselves through their potency, enthusiasm and spontaneity. Their dynamism reflects in forcefulness, their power and impulsiveness. Think of the animal's they are represented by - the lion, the horse and the charging ram, each having a significant amount of power in their own right. These are also highly motivated animals who use their power, strength and will to their benefit and gain. Since they are emotionally impulsive by nature, they will act before they think. If the fire signs are weighing their emotions to logic, they will choose their emotions every single time. If you have been coming to my website long enough, then you know that I put a very heavy emphasis on the North and South Nodes. These are extremely sensitive points in the chart that when tapped by us, meaning when we use them as a direction signals, they can serve us very well and cut our issues to a minimum. The Nodes are major areas of influence for success to take shape in our Life. Basically, the North Node is where your cup runneth over and the South Node is the bottomless pit or drain. When you put energy into the North Node, you simply cannot fail. If you put your energy in the South Node it will become a drain and you can't possibly fill up a bottomless pit. It's impossible because it is bottomless! The South Node is the 'hole in the chart'. No matter how much time, energy, money, Love or attention you give the South Node, you will not win. But alas, that is what we do as humans. We see or feel that South Node and for some reason, we believe that we can conquer it. We weren't meant to conquer it. The North Node is our destiny (destination) and if we move in the direction of the North Node, we simply cannot fail. WHAT DOES THIS MEAN FOR AQUARIAN'S? Having the South Node in Aquarius conjunct your Sun in Aquarius, meaning they are both in the same sign, creates a challenging time for you. This is where circumstances, situations and conditions around you cause restriction and limitation. This will make you think that Saturn is in your sign. Saturn disciplines and limits us so we will learn responsibility and grow up. The South Node takes this to a whole new level and limits your opportunities, abilities and potentials. Think of your Sun as your identity. This South Node takes the Sun and rolls it into a hole (pit) making it hard to crawl out of it because you just can't seem to jump high enough to grab the ledge and pull yourself out. It's like you crawl out and here comes a bowling ball to knock you back down. The trick is to learn how to stand in your strength and power when you get hit by a bowling ball because they will keep coming. This South Node in Aquarius will make it hard for Aquarius to get ahead of the challenge. While you will see some Aquarian's succeed during this time, it will not come without its difficulty or a price. You may even be flat out denied what you are trying to accomplish. 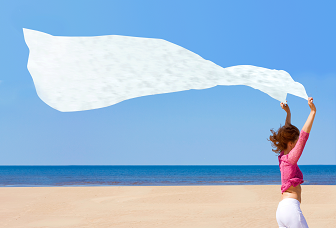 When the South Node is in your Sun Sign, Aquarius in this case, it's time to go on vacation or just take it easy. Do not load more on your plate because you will not beat this energy. You don't load more food on a flimsy paper plate. You put less on your plate. That is my advice, do not put more 'to do' on your plate. Self-promotion will also not work for you because it is Leo's time to shine, which is your opposite sign. Calling attention to yourself will only prove to be negative attention. And whatever you do, cut down on your drama. Going into 'poor me syndrome' will only call more negative attention. It's like the Universe will say to you, "You want something to cry about? I'll give you something to cry about!" It will seem like no matter what you do, you can't win or get ahead and you will get no sympathy from others. This time around, until November 6, 2018 you are in the passenger's seat, not the driver's seat, Leo is! The positive in this South Node is it will make you a master of your circumstances and you will know yourself very well at the end. You will know what you are made of and then some. You will master, yourself. WHAT DOES THIS MEAN FOR LEO'S? Well it's your turn Leo. Finally right? You have been shining your Light for everyone else for so long and now it's time the Light is shined on you. Now here's the thing Leo, that Light is going to shine on you whether your hair is fixed or not. The Light is going to shine on you, no matter what you look like, so if you care what you look like, then I suggest you get busy primping because others see you now more than ever. Not only physically, but they see your character as well. Whoever you are, that is what people will see. You might be saying, "Eeeeeeek" but it is True. If you are being even remotely unscrupulous, dishonest, insincere or disloyal, it will be seen. There are plenty of Leo's out there who see themselves as being the moral standard and loyal, so you may be tested on this. Your morals and sincerity may also be tested. Let's put it this way, while you may be able to detect insincerity in others, this does not mean that your sincerity is genuine either. OUCHY! I know! These are high qualities of which you will be called to be the gold standard, not holding others to standards that you are holding for yourself. Honesty, integrity and loyalty are Leo's traits and they follow-up with action, not just lip service. You will see what I mean. You may be called upon to defend someone or stand up for them. Your personal persona is expanding and everyone sees who you are and the leadership abilities that you have. You may be called upon to lead or be the head of something. You must remember that you 'lead by example' not by telling others what to do. Leo is NOT the boss or the manager because that is Capricorn. Leo is the leader . . by example. People will do what you do and the Universe will hold you accountable for your influence on others. Do you know why? Because you should know better. If you have been on your Life game, being a Good servant and being a Good example for others, the Universe is going to reward you like nothing you have ever seen. Leo must remember, you are here for the rest of us, we are not here to serve you. You are to serve us by being our King or Queen and in return, your loyal subjects will do for you. Leo is NOT to act like a dictator, but act like the Loving King or Queen who protects and takes care of his/her loyal subjects. If you want your back scratched, then scratch others back. This North Node will bring you Good Luck if you play your cards right. Lucky in cards, Lucky in Love, Lucky in Life. This is the time for you to get your Leo strength back. A roar can show your strength, but you want muscle behind that roar. Leo absolutely and unequivocally needs to have a strong physical body, beautiful hair and by all means, clean nails. This is your time. OWN IT! Serve with dignity, majesty and confidence. You know, you got this! KEY PHRASE: "My Cup Runneth Over"
The first thing I do when the Nodes change signs is I look back and see what was going on in my Life the last time that particular nodal position was present. The last time the North Node was in Leo and the South Node was in Aquarius was October 21, 1998 until April 8, 2000. This will give you some idea of the type of energy you will be facing this time around. It doesn't mean the same thing will happen that happened back then, but what it does mean is you have the experience and knowledge of the past. YOU ARE NOT TO REPEAT THE PAST. You are to use the experience and knowledge to your advantage right now. Look up on the North and South Node Calendar for other times when the North Node was in Leo and the South Node was in Aquarius and recall what was going on in your Life at that time. Astrology follows patterns and when you can recognize the pattern, then you have something easier to work with and tailor to your Life. You will also be able to look up the exact degree and time period for the entire Nodal Transit of Leo and Aquarius after I finish the right up, I will work on the calendar. It won't take me long, so check back right here for that link. KEY PHRASE: "The Bottomless Pit" or "Hole in the Chart"
The South Node is like having a hole in your pocket, so anytime you put something into that pocket it will fall right through and there is no plug. So natally speaking, the South Node in your natal chart is the hole in your chart! Whenever the South Node is in your Sun Sign (in this case it is in Aquarius) then Life can be a real challenge . . but alas . . wait just a dang minute . . if you focus on the North Node Leo then you cannot fail. When the North Node is in your Sun Sign (in this case it is in Leo) then Life can bring opportunity after opportunity after opportunity. The North Node is the gift that keeps on giving. So why not focus on the area of your chart that is ruled by Leo while the North Node is in Leo, even if the North Node is not in Leo in your natal chart. The North Node Leo is a transit that should be utilized, while the South Node in Aquarius will be your drain. There's no doubt, many people will be more freaked out and fearful about the bottomless pit and drain of the South Node in Aquarius and will choose not to embrace and play UP the North Node in Leo because they are so fixed on their fear. That is a choice. It is human nature to put our attention on the worst case scenario instead of the best case scenario. But all I can tell you is, that is your choice. There can be so much attention on the South Node to find a plug, and I'm here to tell you that you won't find it. THERE IS NO PLUG! Arrrrrrrrggggggggggggh! Do not waste your time, focus on the North Node! Remember, WE ALL HAVE an area in our chart that is 30 degrees of Leo space and 30 degrees of Aquarius space. You certainly have a choice because astrology recognizes that you have your God-given free will and you use it as you like. You can freely choose the negative or positive side of any astrological influence. Click here to read all about Leo Rulerships. Think about of the things that are coming into the news that are all ruled by Leo and then study the area of your chart ruled by Leo to make this energy work for you. Here is a handy dandy little list of Leo celebrities so watch for them in the news and make a mental note of what is going on in their Life and how they are handling the North Node Leo is moving over their sign. Click here to read all about Aquarius Rulerships. Think about of the things that are coming into the news that are all ruled by Aquarius. Here is a handy dandy little list of Aquarius celebrities so watch for them in the news and make a mental note of what is going on in their Life and how they are handling the South Node in Aquarius moving over their sign. WHAT IS THIS SOUTH NODE IN AQUARIUS SAYING? If you find yourself playing into the hand of the South Node Aquarius, it will be easy to recognize because that means you will be motivated by what others think. Instead of you being in control of your Life, others will be. How's that sound? The ego comes into play with this placement (Leo), but it is the Aquarian energy (friends) that feed the ego. So while searching for what others think, you just may miss the moment or the opportunity because your decision will be based on what others think or want, not based on your heart's desire (Leo). This nodal placement just cannot seem to get enough input, information or knowledge. In fact, a person with this nodal placement in their natal chart will do everything they can to let you know that they know more than you. It doesn't matter what you say, they seem to know more and will always have something to add to what you just said. In other words, they have to one-up you in knowledge. They will give you most obscure facts, trivia and information because they are trying to win you over by showing you how smart they are. They use really BIG words too. Often times (not all the time) but often times these individuals will not even have advanced education, but they sure do talk like it. And most of the time, they don't need formal education (college) because they are so dang smart anyway. These individuals READ! They might even let you know the organizations or memberships that they belong to especially if it has to do with knowledge such as MENSA, which is the largest and oldest high IQ society in the world. They might belong to the Audubon Society or some National Geographic society or some such thing. These individuals are indeed walking Jeopardy champions with very little or without any formal education. While the South Node in Aquarius is busy trying to impress others with how much knowledge they have, there will be those who are using their North Node in Leo following their heart's desire and seeking their own livelihood and happiness. So while the South Node Aquarius is busy talking about how smart they are and doing the best to impress others with how smart they are, the North Node Leo is out there making Life happen for themselves and probably making money at it too. Since the South Node Aquarius is more focused on making friends, my strong advice with this placement is 'watch you back'. Sorry, but I do need to say that because Aquarius rules friends, step-children, VIPs, those we network with in groups or organizations, those we associate with in social circles, including social media. There is a very Good possiblity that friends will come out of the woodwork to connect their cart to yours for their own reason, but not for the friendship, which you may just find out the hard way. There will be a lot of people who will see some of their friendships end, especially if they have challenges to any Aquarius or Leo planets in their Natal Chart or Solar Return. It's situations like this that makes loyalties wane, thin and undependable. 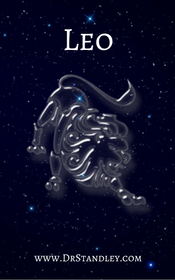 The South Node Aquarius isn't really getting close to too many people and will keep friends and family at an stiff arm's distance, to the point of alienation of affection. We know of the term 'alienation of affection' more in divorce cases, but in this case (South Node Aquarius) alienation of affection is meant as withholding affection from those you Love. Imagine having your South Node in the 11th house of friends, well the Aquarius South Node is just like having a South Node in the 11th house. It's going to be hard to keep secrets or have people in our corner with this leaky South Node Aquarius. Imagine standing in a circle with about 5 friends holding hands. Then gradually another friends joins the group, then another friend, then another friend, then another friend and so on and so forth. Before you know it, the circle is HUGE and people are no longer standing shoulder-to-shoulder. Now everyone is standing there holding hands with people they really don't know acting 'as if' they are friends. The circle is no longer perfectly round, now that circle is warped looking and no one knows each other. Well in that case, since no one really knows each other, why have loyalty to those people. Secrets get told and the links in the circle are weak. The friendship circle is now easily infiltrated just because we wanted to be friends with everyone and we didn't vet them properly (astrologically, personally or professionally) we just let them into our world. Do you know what I think is going to be super-interesting about this South Node Aquarius? It's going to be the continued fallout from the Obama Administration. No folks, don't shoot the messenger here. I can't make the Astrology say something that you want said. I have written many times about President Obama's North Node Leo and South Node Aquarius in his natal chart, and how he was elected in 2008 when the South Node was in Leo at 12 degrees and his Sun is in Leo at 12 degrees. Yes, I did say that I thought he would go down as one of the worst President's in this history of the U.S. Again, he was elected when the South Node was in his Sun (Leo) at the exact degrees. I can't make that stuff up. I would no sooner think his presidency would work out no more than I would trust you coupling up with something or someone who was your South Node at the exact degrees of your Sun Sign. Anyway, so President Obama has a South Node in Aquarius in his first house of 'identity'. Remember the birth certificate issues? Anyway, that beside my point . . he has a South Node in Aquarius in his natal chart, which mean everything I said about being easily infiltrated and having leaky energy applies to him. I wrote many times about his administration being leaky from the get-go. The following paragraph is what I wrote about many times regarding President Obama's South Node in Aquarius. "Our current President has a South Node Aquarius, which is what I call 'Swiss Cheese Energy' because it so full of holes. I always tell my South Node Aquarius clients that they must tighten their personal security and not let in so many friends because it makes them easily infiltrated. South Node Aquarius CAN NOT be friends with everyone. It's the drain, it's the hole in the chart, it's the bottomless pit! This is what our current president has in his birth chart. During this presidency we have seen leaks, permeations, intrusions, sneaks and even the secret service detail ditching their duties. This presidency has had more infiltrations than we can count. We have seen Wikileaks, Edward Snowden, government computer hacks, the President's own schedule leaks, the postal worker in the helicopter landing in the White House lawn, several attempts by fence jumpers at the White House with one jumper making his way into the White House itself and down a hallway. Even Hillary Clinton's e-mails fall under his administration. We have seen incidence after incidence with the secret service and even the uninvited guests 'The Salahi's' who made their way into a State dinner. ANYONE with a South Node in Aquarius has 'Swiss Cheese Energy' and is easily infiltrated." There is so much I wrote many times on the subject of Obama's leaky swiss cheese South Node in Aquarius. So now here we are again with the South Node Aquarius coming up and the current administration is still dealing with the holdouts of the previous administration. And just today, at this writing, Director Comey gets fired as the FBI Director . . on the day of the South Node in Aquarius, which brings up more questions about Hillary's e-mail server right at the Full Moon in Scorpio, and she's a Scorpio. So all I can say is all of the leaks from the previous administration are going to be leaking out again and more heads will probably roll and the public may be shocked beyond what you can comprehend. The veil is just beginning to be lifted. That's all I will say for now about this because too many people are still angry about the election and it makes it very challenging to discuss juicy election astrology. But just remember this . . . watch for leaky energy from the previous administration to flood the surrounding plain. This is going to get really juicy. And come on, is anyone really surprised that Director Comey was fired? The question is why did President Trump wait until now? Any other President would have replaced Comey at the start of his administration, so why didn't President Trump do that? My theory is deep (like the Pelican Brief) and I believe that it was actually planned to be now (on this date, Tuesday, May 9, 2017). I believe it was on purpose and this was no surprise. I wasn't surprised, were you? WHAT IS THIS NORTH NODE IN LEO SAYING? This North Node in Leo will challenge all of us to be brave and stand up for ourselves as individuals. While we all have friends, we must be able to roll the dice on ourselves and take a few risks without having to ask everyone on their brother's sister what they think. The North Node Leo is challenging us to follow our own heart's desire, not someone else's. Leo rules the stage and should own the stage, never fearing to get out there and take the stage. Remember, Leo is naturally ruled by the Sun, which is the Giver of Life. When Leo energy walks into a room, it's evident because the place just Lights up. Look at your Natal Chart or Solar Return to see where this Leo energy is showing up for you. This is where you need to bet on yourself, not what someone else thinks you should do. Leo rules gambling and this North Node Leo says, "Bet on yourself!" Leo rules intimacy, dating, romance and the relationships before they become committed. Aquarius takes the energy to a different level and rules friends, organizations, memberships and groups. Leo keeps their close friends closer, and Aquarius keeps everyone at a safe arm's distance. Leo rules children, especially the first child, while Aquarius rules step-children. This is because the 11th house is the 5th house of the partner (7th house) making the 11th house the partner's children. Aquarius also rules the children of our friends. Leo is attracted to more emotional and dramatic situations in Life, while Aquarius emotionally aloof and distant who will detach themselves from emotional, especially dramatic situations. Remember, when logic and emotions are weighed, Aquarius will choose logic every single time over emotions. Leo has pride, ego, individuality and is concerned about how they will shine, whereas Aquarius is more focused on the group effort and will make their decision based on peer pressure. Leo is a risk taker and will roll the dice on themselves every single time because they are confident they will accomplish what they set out to do. Aquarius is still waiting for more information. Leo will make the decision, while Aquarius is waiting to see what others are going to do first. Leo is brave. You will see their bravery by the way they look right into the camera. Leo can and will confront an issue. 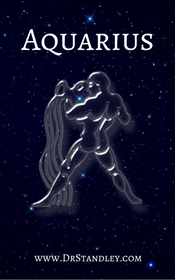 Aquarius does not want to fight and will avoid confrontation. Aquarius will see a logical solution, while Leo is in your face. Leo leads by example where others become copy-cats, and Aquarius leads a group of people in a socialized effort. Leo rules the heart, the heart's desire and the back, whereas Aquarius rules the circulation of blood through the heart. This is what makes Aquarius 'the circulator' not only in the body, but the circulator at a party, socializing, networking or group. Aquarius also rules the ankles, arteries and veins in the calves. Leo rules parenthood, being the ruler of children, then Aquarius is the step-parent because it is the 5th house of partner (7th house) and their children. Leo focuses more on living here and now, and is the Giver of Life, while Aquarius is the sign of the future. Leo has a need to control others, while Aquarius has a habit of allowing others to control them by simply waiting for their approval. If you need help interpreting what you need to do during this Nodal transfer of energy, then it is probably time for a personal reading. The Nodes are my astrologic speciality!